By Hadi Waqas in Desktop. Updated on February 13, 2017 . Windows 10 will be getting some graphical improvements within the year as Microsoft has shown off a UI update at the Windows Developer Day event that the company is calling Project NEON. Expected to go live with the release of the "Redstone 3" update from Windows 10, which is the next major update following the Creators Update, Project NEON builds upon Microsoft Design Language 2 (MDL2). With Project NEON, Microsoft is looking to introduce some new components into the Windows 10 design . As such, the project will focus on animations, simplicity and consistency. The first component that will be introduced with Project NEON is something Microsoft refers to as "Acrylic". With this component, Windows 10 will blur the background, sidebar and the app when it’s being navigated, allowing the user to focus on the main content instead. As for the blur effects itself, it is essentially the Aero Glass feature that Microsoft introduced with Windows Vista. 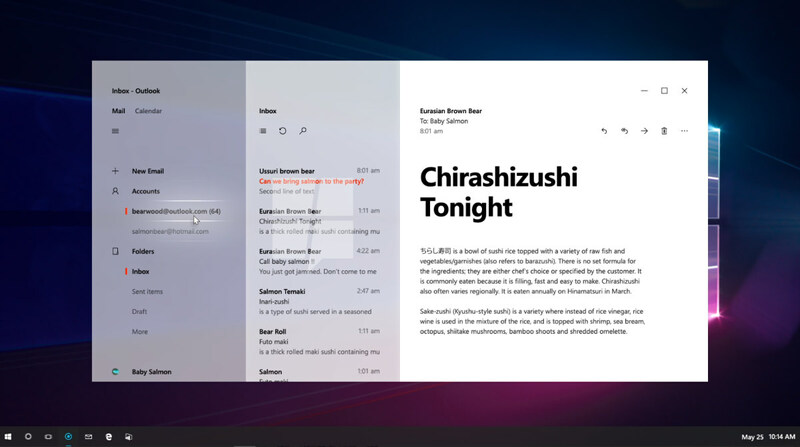 Alongside Acrylic, Microsoft will also be introducing Connected Animations and Conscious UI with Project NEON. While little is known about this two features thus far, we do know that both of them will work in tandem with Acrylic. Rounding up Project NEON, Microsoft has also made sure that the UI update will bring with it 3D and HoloLens interaction. The Redstone 3 update is expected to go live in the second half of 2017, and we fully expect Microsoft to reveal more about Project NEON at Build 2017 in May. Until then, those of you who are part of the Windows 10 Insider Program can get a sneak preview of Project NEON. If you have the latest Windows 10 Insider Preview build, you would be pleased to know that the Groove Music application now comes with the updated UI.